Join us in recognizing healthcare access professionals for their continued accomplishments of service in the healthcare access continuum by celebrating Patient Access Week, March 31 - April 6, 2019. Established in 1982, Patient Access Week is a celebration of the people in Patient Access profession. The date marks the anniversary of the founding of the National Association of Healthcare Access Management (NAHAM), the only national professional organization dedicated to promoting excellence within the field. Each year, the celebrations span the entire week surrounding the anniversary, April 5. 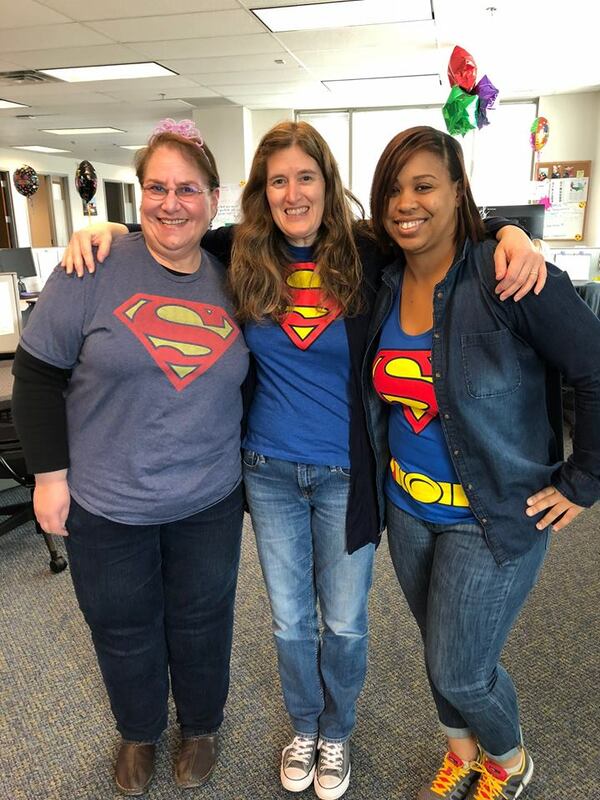 By supporting and promoting Patient Access Week, you are showing your team that you appreciate their hard work and encourage their efforts as goodwill ambassadors for the entire facility and you’re demonstrating the importance of Patient Access to your entire facility. A recognition program implemented during this special week is an excellent means of enhancing guest relations, increasing hospital morale, and improving communications. NAHAM has created a complimentary toolkit to assist you with planning a recognition program complete with free puzzles and games for you to engage your staff. 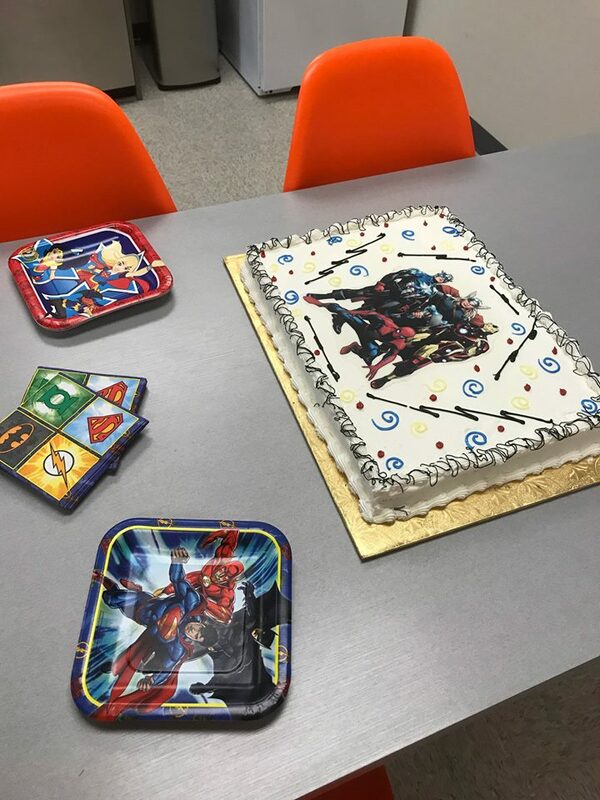 We’ve provided numerous suggestions for events and contests you can implement and offer a list of audiences you should remember during your celebration. You can also purchase a variety of specially designed products for use throughout the week and entire year as recognition gifts and reminders of your department's important contributions to the operation of the hospital. An online store will be available soon. We’ve also created marketing materials to help you gain recognition for your department. If your facility has a newsletter, a feature article on the access department can appear that week. Local newspapers often have sections highlighting various community events and can serve to help draw attention to the event. Displays describing the work, growth, and/or evolution of the department or spotlighting on the access department's employees can be set up in a central, heavily traveled part of the facility. We want to see who has the most Access Week spirit! 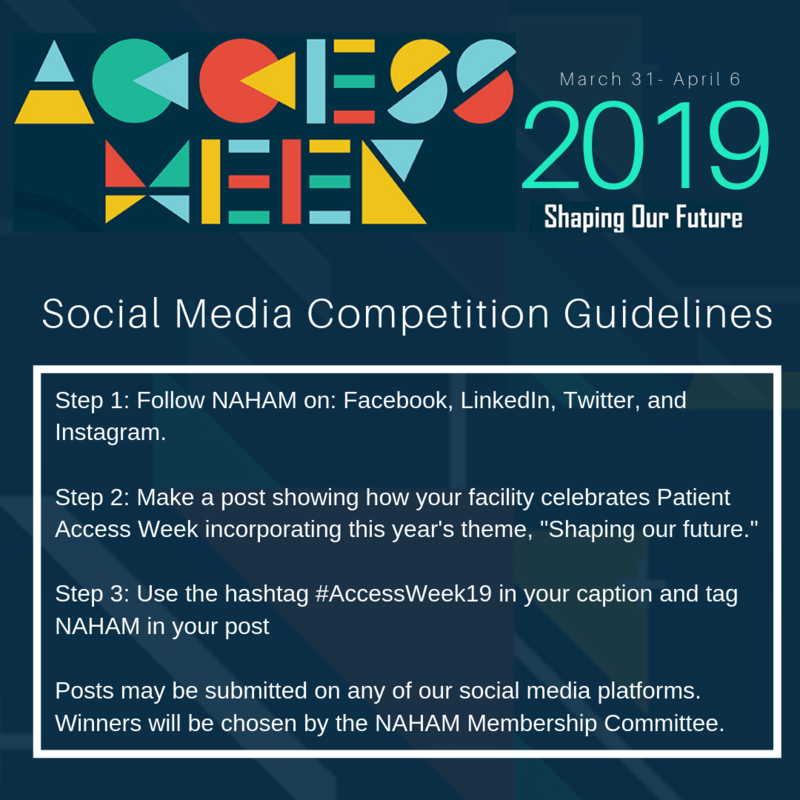 Winners of the #AccessWeek19 social media contest will be featured on NAHAM's Access Week homepage as the 2019 celebration champions. Step 1: Follow NAHAM on Facebook, LinkedIn, Twitter, and Instagram. 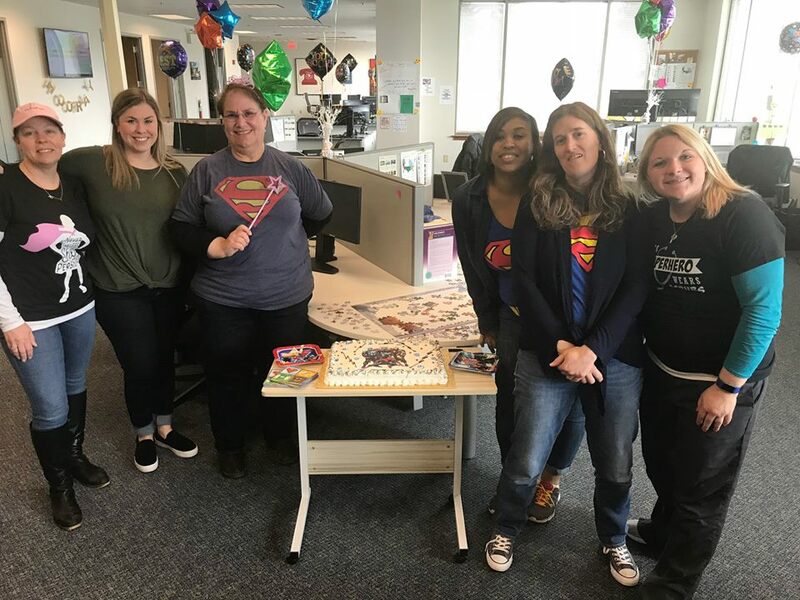 Step 2: Make a post showing how your facility celebrates Patient Access Week incorporating this year's theme, "Shaping our future." Posts may be submitted on any of our social media platforms. Winners will be chosen by the NAHAM Membership Committee. Email info@naham.org with any questions. Congratulations to our inaugural winners of the #AccessWeek18 social media contest, Sunspire Health! 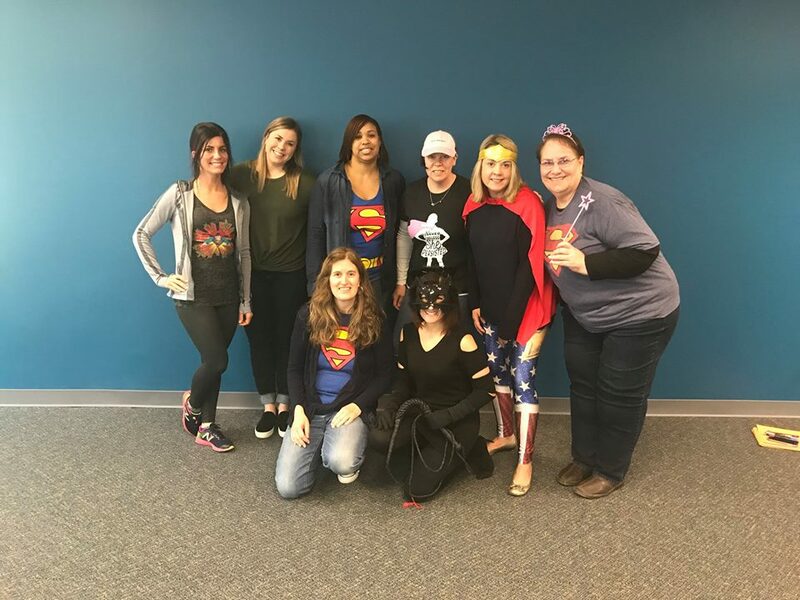 Voted on by NAHAM's Membership Committee, this group embodied the Access Week spirit with their themed celebration fun and matching shirts.